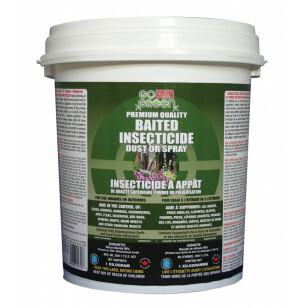 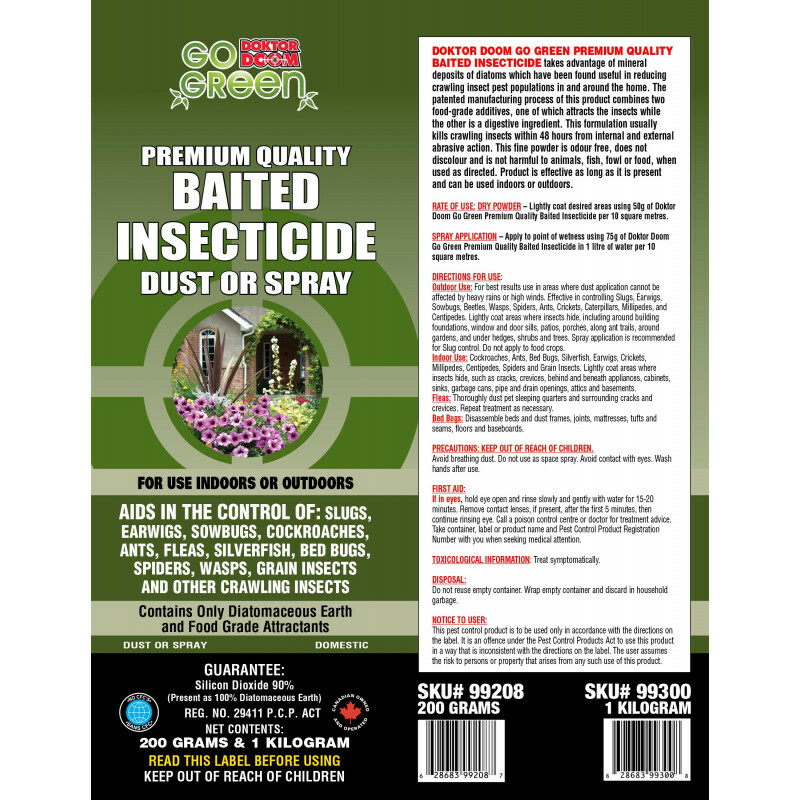 ► Contains only Diatomaceous Earth and food grade attractants. 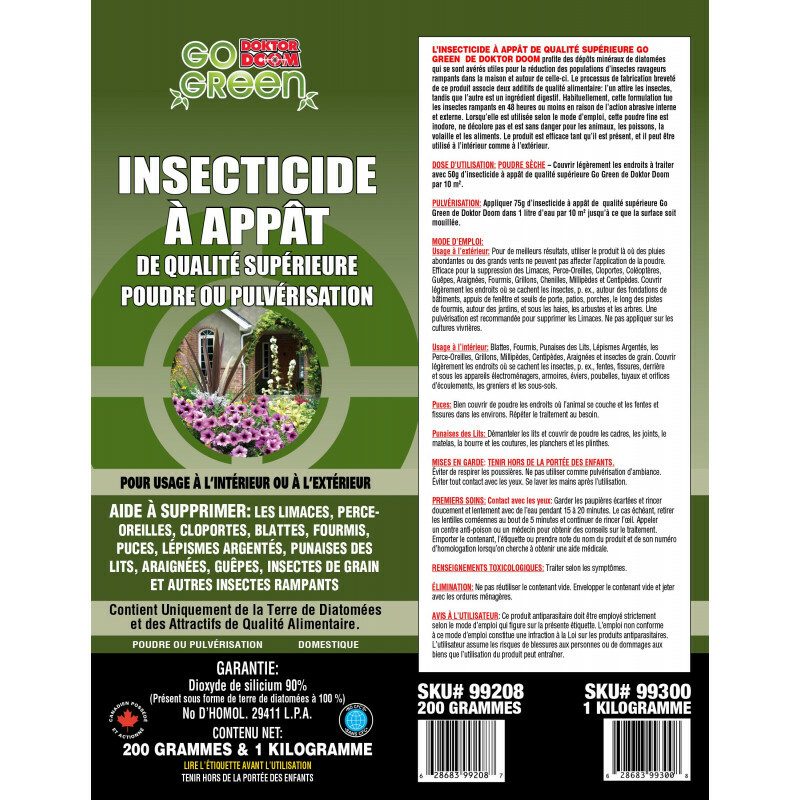 ► Aids in the Control of Slugs, Earwigs, Sowbugs, Cockroaches, Ants, Fleas, Silverfish, Bed Bugs, Spiders and other Crawling Insects. 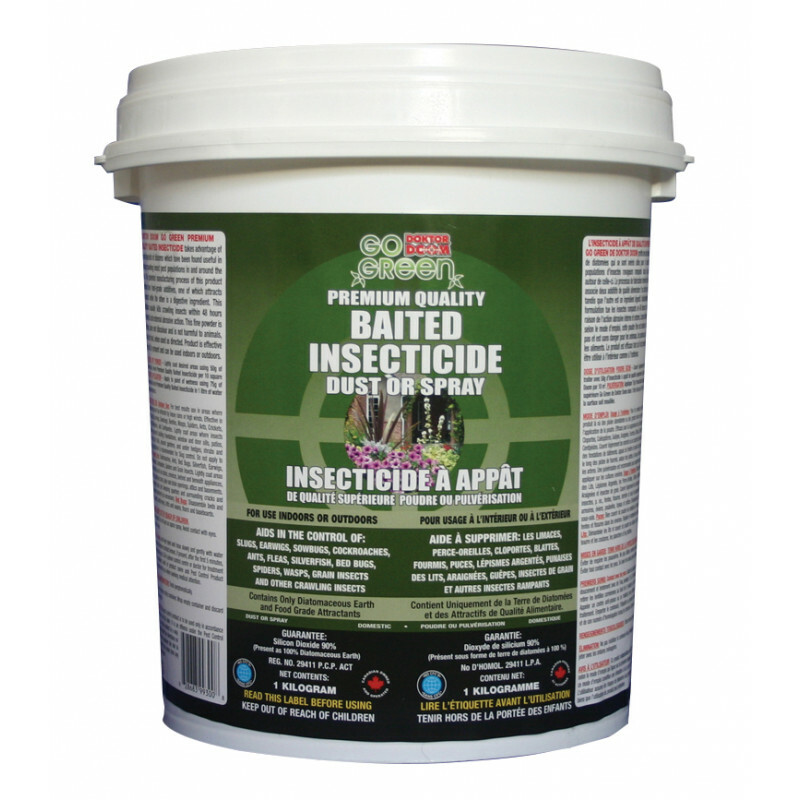 ►Ideally applied with the Doktor Doom Pest Pistol to inject powder deep into places where bugs will hide and nest, as well as easier application over larger surface areas.